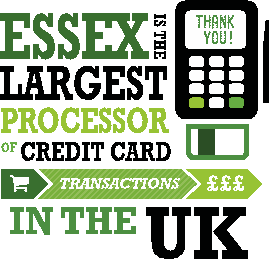 Thames Card Technology is one of the UK’s largest plastic card manufacturers supplying many blue chip customers across industries including financial services, retail, ID and telecoms, and delivering its product globally to more than 60 countries. Thames has over 20 years’ experience in manufacturing, personalising and distributing plastic cards for customers all over the world. Operating from a single secure site in Essex the company employs over 200 people and works with clients from various different industries ranging from banking and retail to telecoms and ID. Thames Card Technology has seen continual growth in recent years and continues to further expand their client list having added several significant new clients in the banking and travel industries. The company have also been working with TUI UK & Ireland, manufacturing the next generation of travel money cards. The prepaid cards offer a multi-currency solution for travellers and can be used to make a payment in any country or currency, where the MasterCard symbol is displayed. 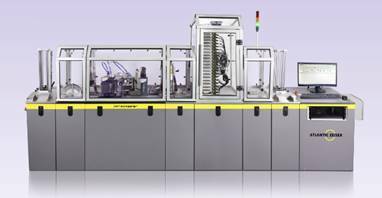 Thames also recently announced a £2m investment in state of the art personalisation equipment to increase card personalisation capacity by 60%, bring loyalty keyfob encapsulation in-house and deliver greater efficiency. Last year Thames Card Technology worked with partner SIS on a project for Serbia’s leading commercial bank, Komercijalna banka AD Beograd, to produce over one million chip payment cards. The cards are a mixture of prepaid, dual interface (for swipe and tap use) and magnetic stripe gift cards as well as using Dynamic Data Authentication (DDA) for enhanced security. Thames and SIS have worked together for the past 10 years and the renewal of the Komercijalna banka contract highlights another success borne out of this cross-border collaboration. In 2014 £3.2m growth funding was secured by Thames from the private equity investor Business Growth Fund (BGF) for buying new card manufacturing and printing machinery. This allows the company to manufacture over 250m credit, debit, prepaid, gift and loyalty cards per year. As a result, Thames increased manufacturing capacity by 50% and generated sales of £18m. Thames Card Technology was first accredited to manufacture MasterCard and Visa products in 1999. In 2004 the company achieved the Logical Security accreditations to enable them to manufacture and personalise EMV banking Chip & PIN cards. With these accreditations and working in partnership with Morpho, Thames offers a complete EMV chip card manufacturing and personalisation solution. Thames Card Technology is committed to customer service and quality and has gained ISO 9001 certification. The company is also a member of the MasterCard Vendor Program. The London-Essex UK Finance Corridor – extending from the City eastwards into Essex – has attracted leading financial services business seeking to combine reduced costs with fast transport access to London. The London-Essex UK Finance Corridor delivers benefits for IT Finance businesses seeking the optimal UK location: reduced costs, skilled people and academic expertise, all combined with fast data and transport connectivity to London’s global finance hub. See here for more information on Thames Card Technology.